If you have a child who plays football or another contact sport, or if you are a sports fan more generally, you may be aware of the risks of sports-related concussions and serious traumatic brain injuries (TBIs) associated with football and other contact sports. In some cases, repeated sports-related concussions have been known to result in chronic traumatic encephalopathy (CTE), a degenerative disease of the brain. Family members of former NFL players who suffered from CTE filed claims against the organization, and an article in Sports Illustrated reported that the family of Junior Seau, a former NFL player, settled a wrongful death lawsuit with the NFL in October 2018. In short, sports-related brain injuries can lead to wrongful death claims. According to a recent article in the Tampa Bay Times, the NFL is providing more than $35 million to aid in brain injury research, including studies into the diagnosis and treatment of sports-related concussions. Five organizations will receive a total of more than $35 million from the NFL to advance research on brain injuries. The money comes from the “Play Smart, Play Safe” initiative, which was developed through the Scientific Advisory Board with an eye toward preventing brain injuries in football and other sports. More precisely, the NFL funding will support research aimed at sports-related concussions and the development of CTE. If players sustain sports-related concussions less frequently on the field, the chances of developing CTE diminish. The investment in brain injury research is not entirely selfless, of course. As fewer players show signs of CTE, the less the NFL will have to manage its image with the public, and it is possible that the organization will face fewer wrongful death claims. Two of the funded studies will explore CTE and neurodegenerative conditions in former NFL players. Nearly $15 million was awarded to a team of researchers at Boston Children’s Hospital and Harvard Medical School to study “A Prospective, longitudinal, and Translational Study for Former National Football League Players.” A related study at the University of Pittsburgh received more than $6 million to investigate “Prevalence of Brain Health versus Neurodegeneration in Professional Football Retirees.” Other studies will focus on concussions among youth athletes, treatment and rehabilitation for concussions, and clinical knowledge about traumatic brain injury more generally. While concussions are the most frequently discussed forms of sports-related brain injuries, athletes of all ages can suffer serious injuries. When it comes to concussions alone, Brainline.org reports that around 3.8 million concussions occur in competitive sports and recreation activities every year in the U.S. Further, sports-related TBIs frequently result in visits to emergency departments and, for some athletes, hospitalization. Sports-related brain injuries can have immediate effects, and they can have long-term effects when an athlete sustains multiple concussions over a period of time. In some instances, long-term brain trauma may give rise to a wrongful death claim. It is also important to keep in mind that devastating and fatal brain injuries do not just occur in sports—car accidents are one of the leading causes of deadly brain injuries. 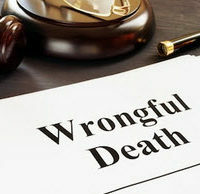 If you have questions about filing a wrongful death lawsuit, you should speak with a West Palm Beach wrongful death attorney about your options. Contact Lesser Lesser Landy & Smith PLLC for more information about brain injuries and wrongful death claims in Florida.